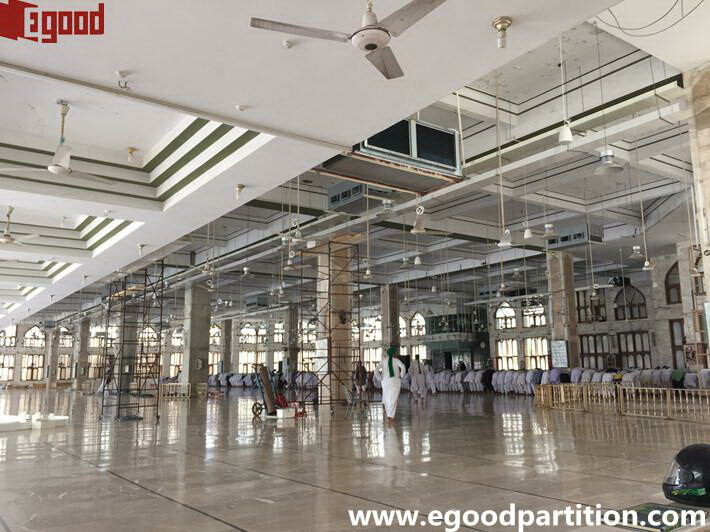 Provide the best acoustic movable wall partition solution! 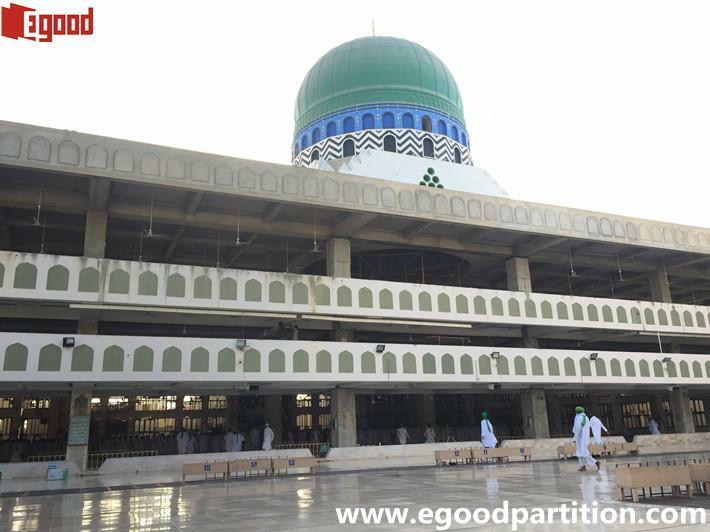 Faizan-e-Madina, also known as Global Islamic Center (Aalami Madani Markaz), which located near Capital Telephone Exchange, Main University Road, Babul Madina in Karachi Pakistan. Is a non-political Islamic organization based in Pakistan. Founded in the early 1980s by Muhammad Ilyas Qadri . 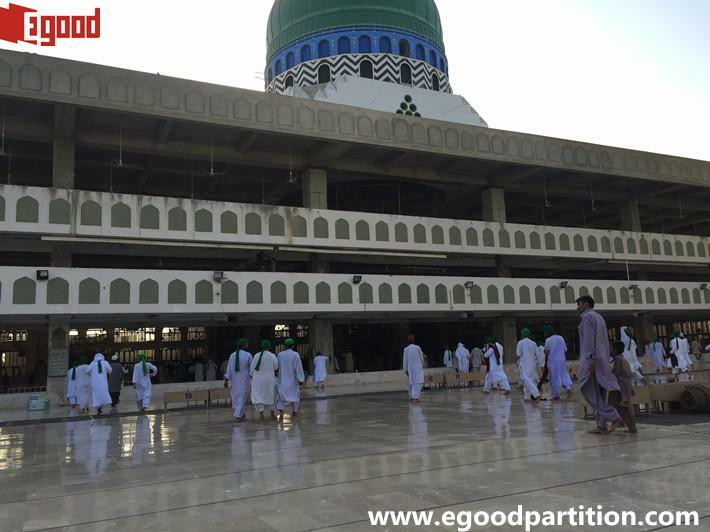 It is the largest mosque for helding Islam activites in pakistan, thousands of members go to this Mosque center for annual gathering, education training, praying and so on. The picture is their main hall, length of this hall is 76 meter. 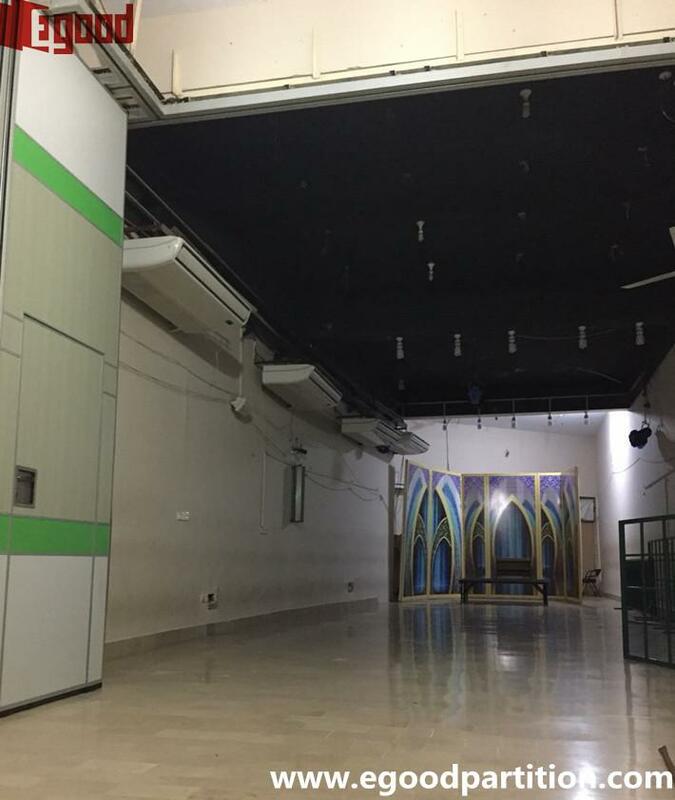 Client plans to use movable partition to divide the hall into two smaller halls in some cases, so two kinds of activities can be helding at the same time. 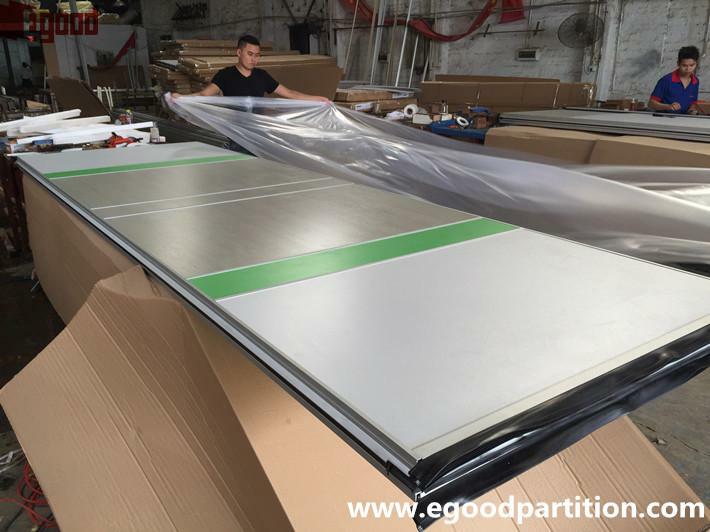 After long time discussion and visiting, they finally choose Egood partition product's company to supply this partition wall. The picture is project Manager went in site for size measurement and installation instruction. Now we are preparing the track and Engineer will go there for track installation very soon. 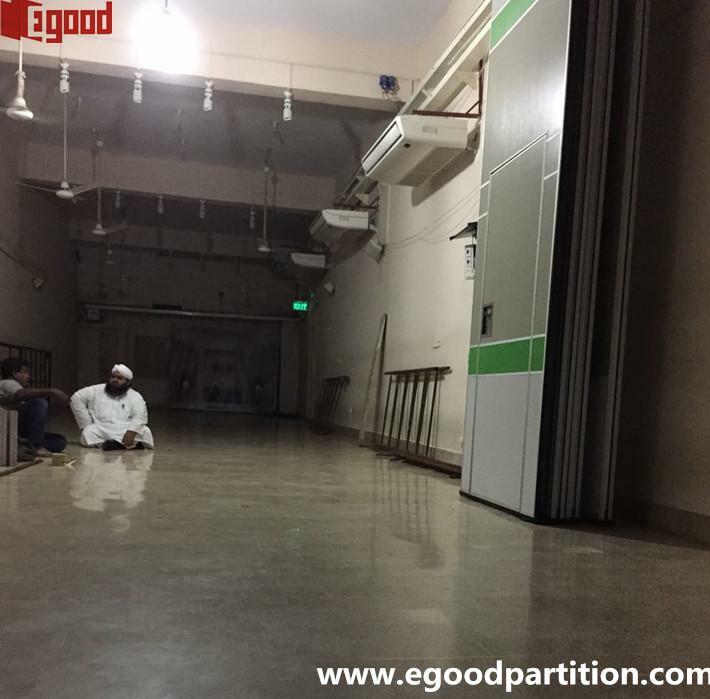 Except the main hall, client also ordered two another movable walls in their praying room. 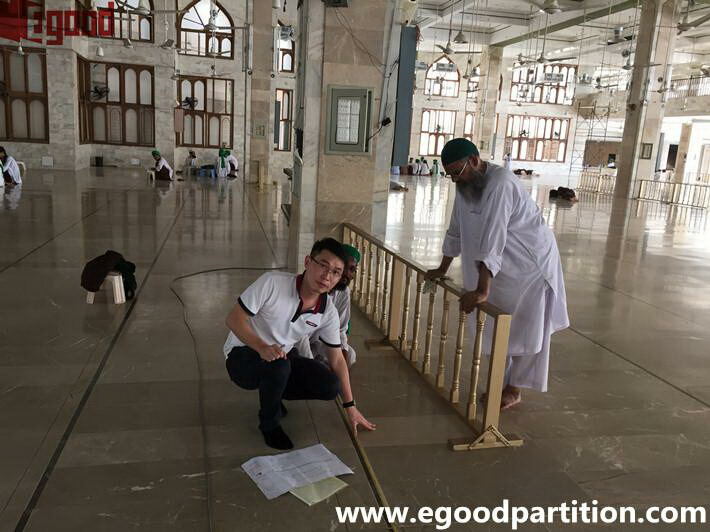 They have finished movable wall installation in praying room and design of movable wall finishing (Green plus white is Faizan's main color) comes from them. 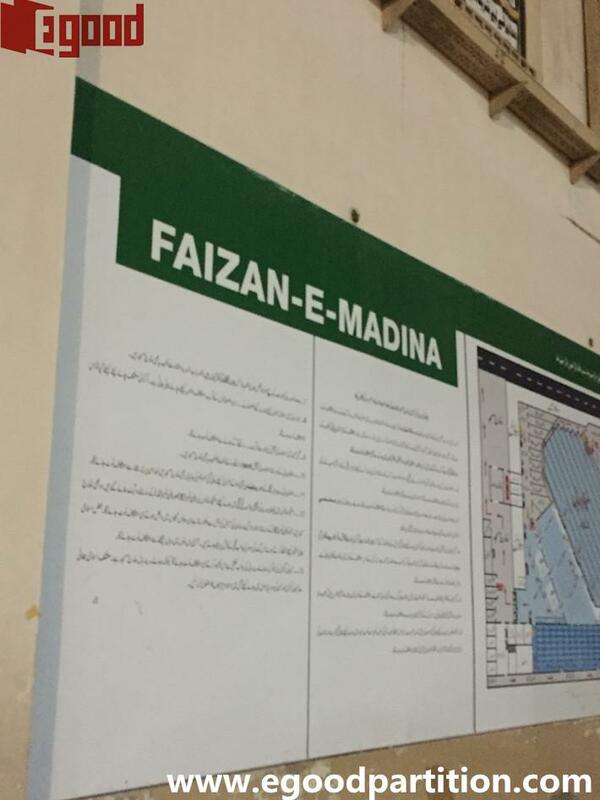 We are hoping Faizan-e-Madina Mosque project in main hall complete as soon as possible. It will be the longest movabele wall in Pakistan. 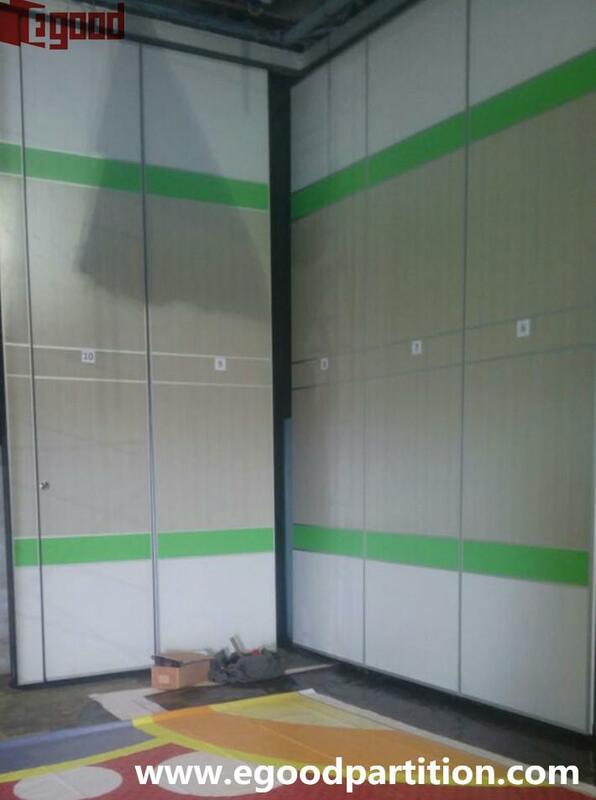 Movable partitions are customized for different customers with different requirment, pls feel free to contact us.